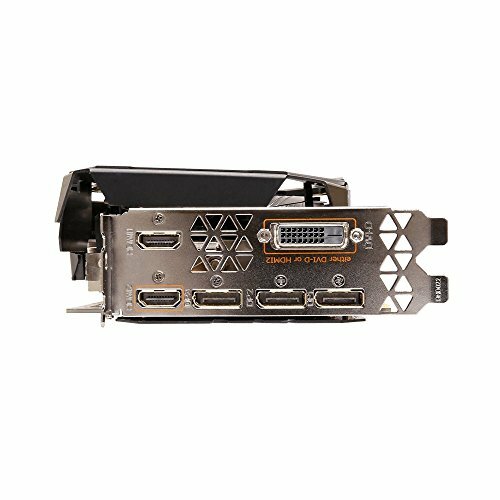 Using it to drive a 1440p 144Hz monitor, for FPS games and for AAA titles. Eats up anything I throw at it. PUBG can run 60FPS at max settings, though I play lower settings to reach past ~110FPS for smoother play. Killing Floor 2 runs at 150 FPS at near max settings, with Flex physics (guts and gore) turned off. Doesn't get absurdly hot either, though I have an aggressive fan curve to keep it as cool as possible. I've peaked around 70C in my setup, where the fans start running 100 percent. The noise is noticable, but I have good headphones and a thick case, so I put up with it for the performance. I've tinkered with GIGABYTE's AORUS software, mostly to control the RGB logo. I use Afterburner for everything else. 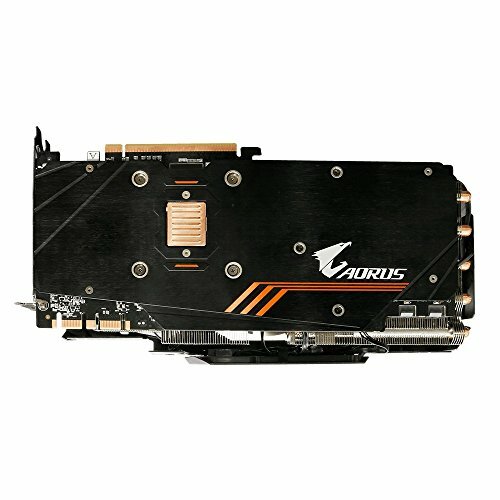 AORUS is a little buggy and hard to use, but otherwise acceptable if you're not too picky. from completed build My gaming pc. 23 october 2017: I have be refund, waiting for a new video card. Has been great so far, no coil whine. Has rgb lights that pop 'fan stop' when the fans stop. recommended! 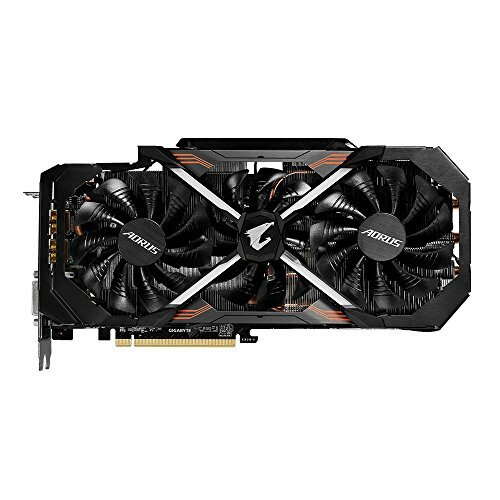 I had a strix 1080ti and i got unlucky because it had a terrible coil whine so i tried this Aorus and its perfect. Its an absolute beast and extremely silent. Yet to fully stress, but basically runs everything on 1080p Ultra without breaking the slightest sweat. Getting 1440p monitor soon to start putting him to work. Design looks incredible and badass. I got really lucky with this one. 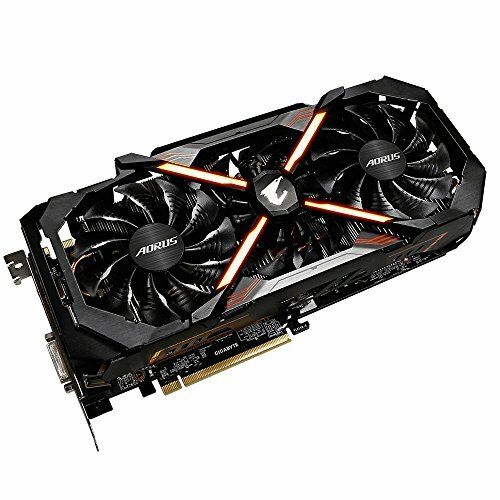 I happened to get the email from Massdrop with this thing listed, and since I was frustrated at the lack of GPU's available at the time, I bought it. Immediately after I submitted my info, I got an alert on Paypal that the money had been withdrawn. It sold out in minutes. I haven't heard any coil whine, or had any issues with the card at all. I have yet to increase the clock, but I don't really feel like I need to. Everything runs at the highest settings, and a lot of the time the fans don't even turn on. This card is loafing most of the time. I'm still trying to decide if I want a triple 1080 setup or a 3440x1440 monitor, so I'll find a way to stress it eventually. Monster, simple as that. I have it under clocked and it still hits 1996mhz on boost clock. Never hits temps above 76°. Has passive fans to save power, plus the RGB looks awesome. Nice card, Ruined by terrible software, RGB refuses to function, The Semi Passive fan system allows the card to overheat, Not to mention that the software refuses to honour my choice of active fan only. BIG BEEFY CARD. Very Large. Looks great performs great and stays cool. However, like the rest of Gigabytes products, even though the hardware is fantastic, the accompanying software is horrible.